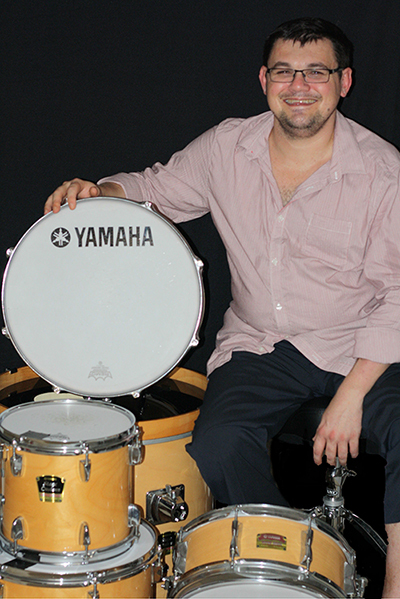 A talented, award winning drummer/percussionist, respected, active and in demand in the music industry both in Australia and Internationally, Joe has an extensive list of performing and recording credits including James Morrison, Ernie Watts (USA), Ben Folds (USA), Birdie Mendoza (USA), Tommy Ticho, Guy Webster, Jon English, Rhonda Burchmore, Tom Burlinson, The Queensland Orchestra, The Melbourne Symphony Orchestra, Western Australia Symphony Orchestra, Emma Pask, Darren Paul, Paul Grabowski, Joe Chindamo, Marialy Pacheco (Cuba), Tommy Emmanuel, Simon Gallaher, Marina Prior, The Ten Tenors, Dale Barlow, John Hoffman, Joe Wren, John Farnham, Jimmy Barnes, Daryl Braithwaite, Mike Knock, James Muller, Tony Hobbs, Don Lane, Anthony Warlow, Don Burrows, Venetta Fields and Vince Genova, Qld. Jack Thorncraft (Australian Jazz Legend ), Tommy Emmanuel, Swing Central, numerous music festivals and jazz festivals both nationally and internationally, and in 1997 was the first drummer to be awarded the James Morrison Jazz Scholarship. Joe has also performed in numerous theatrical productions, and will tour internationally in 2013 with award winning pianist Marialy Pacheco as part of the Marialy Pacheco Trio. Joe’s powerful yet sensitive drumming is perfectly complemented by Yamaha Drums and hardware.